If you are from the Chicago area, then you know how important it is to have the right kind of windows for the warm and cool seasons. Having the proper windows lets in the natural light which completely changes the atmosphere of a home and can also have a huge impact on the overall value for resale purposes. Along with opening up the look and feel of your home, the right windows can save you hundreds of dollars each year on heating and cooling costs! 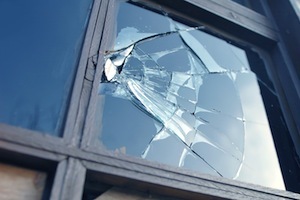 Another huge need for our replacement window services, is to make sure intruders stay out and your family stays safe! All Storm Solutions understands that you need to protect your family and belongings in your home. Old windows are easy to open from the outside and can leave you feeling restless at night. With our help, you can feel confident because our windows pass city standards for safety. Whether your are going for a new home redesign, or perhaps your windows have been letting in a draft, you can trust All Storm Solutions to provide you with an outstanding window replacement job from beginning the end. We pride ourselves on delivering amazing replacement windows that will have your neighbors jealous! With all of the window companies we are partnered with, you will absolutely love the selection that we can offer. From rustic earth tones to modern stainless steel, we work with top window companies in Chicago to bring you the best selection of options. There is no better time to replace your old, drafty windows with brand new and energy efficient windows from All Storm Solutions! Call us to schedule a consultation.